Summer Sale on Agent Provocateur !!! 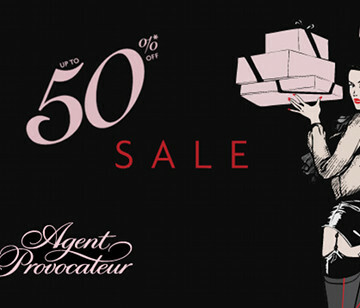 The Summer Sale are launched on Agent Provocateur !!! It’s of course one the essential events of the lingerie year! The Summer Sale on AP! The summer collection arrives on Agent Provocateur, worn by Naomi Campbell ! The (hidden) Summer Sale on Agent Provocateur !! !